We’d love your help. Let us know what’s wrong with this preview of Illuminate by Tracy Clark. Haunted by the loss of her loved ones, Cora Sandoval, one of the remaining few of an extraordinary race known as Scintilla, holds the key to disentangling the biggest conspiracy in human history...and its link to the fate of the human race. As Cora follows a trail of centuries-old clues and secrets, she collide Can one girl be the light in a world spiraling toward darkness? The battle between the Scintilla and Arazzi is coming to a head. The secrets, deceptions and lies are slowly becoming uncovered. What is truth, myth and religious zealous striving for more power comes to light, pushing the three main characters into survival mode, which also sends them apart for some of their journey to enlightenment. I loved the first two books in this series but I am completely conflicted about Illuminate. The telling is extremely imaginative and original and the ending was tot The battle between the Scintilla and Arazzi is coming to a head. The secrets, deceptions and lies are slowly becoming uncovered. What is truth, myth and religious zealous striving for more power comes to light, pushing the three main characters into survival mode, which also sends them apart for some of their journey to enlightenment. The telling is extremely imaginative and original and the ending was totally unexpected but still kind of predictable. You thought that was where it was going but it just was not where you wanted it to head. I held onto hope that Clark was going to pull the proverbial magic rabbit out of the hat and gives us the ending we're all hoping for...that was NOT the case for me. That being said, for me to feel so attached to the story Clark did something absolutely right. I utterly cared about the outcome and the characters plight. Kudos for the amazing storytelling! I received this ARC copy of Illuminate from Entangled Publishing, LLC - Entangled: Teen in exchange for a honest review. This book is set for publication Sept. 21, 2015. This, in a nutshell, is what this book (and the whole series) is about. One girl trying with all her might to save the world, those she loves and herself. Cora is a beautiful character and a role model for young women everywhere. I love how Clark showed the heartbreak and loneliness behind being a super being. It's not all sunshine and flowers. Sacrifices have to be made and in the end, we are all a little bit like Cora. Fans of p "Save herself. Save the Scintilla. Save the world. Or die trying…"
This, in a nutshell, is what this book (and the whole series) is about. One girl trying with all her might to save the world, those she loves and herself. Cora is a beautiful character and a role model for young women everywhere. I love how Clark showed the heartbreak and loneliness behind being a super being. It's not all sunshine and flowers. Sacrifices have to be made and in the end, we are all a little bit like Cora. Fans of paranormal fiction and urban fantasy will love the conclusion to the series. I sure did! Highly recommend! I know I'm the author and maybe it's not PC to rate your own book, but I also know the drive and determination it takes to write a series and so I'm giving myself gold stars for accomplishment. I hope you enjoy reading it as much as I've enjoyed creating it. This is a tough review to write because I absolutely loved the first two books in this series. But this one…I hated the ending. With a passion. It pissed me off for many reasons. One, I just didn't like it. But two, the way it ends, there's still so many people that we don't know what happens to them. I really can't say more about it without spoiling it so I will stop. Just one last comment. You think Allegiant was a bad ending? This book makes me like Allegiant. What about the rest of it? Honestly, even without the horrible and stupid and pointless ending it just wasn't as good as the first two. Not even close. Not a lot happened. And the three main characters were apart almost the entire book. I am so disappointed in this book. I was excited to read it and now I wish I never had. 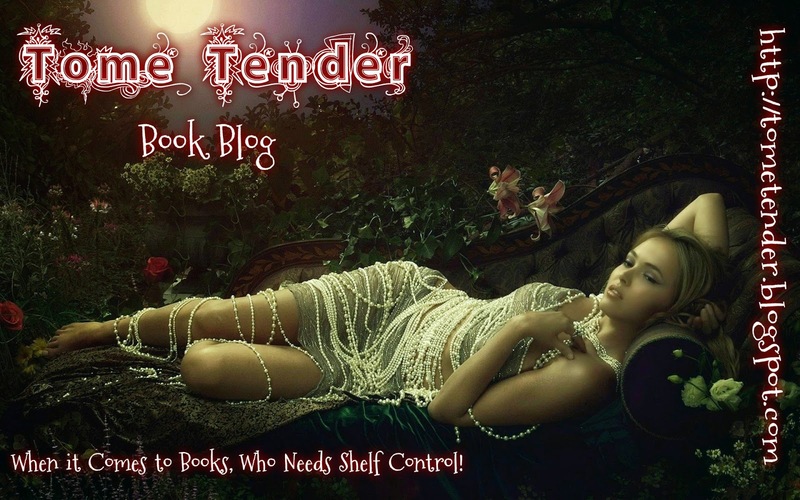 https://youngadultbookmadness.wordpre. Illuminate is a breathtaking and beautiful conclusion to the Light Key Trilogy. Part cosmic puzzle, mythology, and romance, this epic battle of Light vs Dark ends in a stunning, explosive burst of hope and heart. "There is no home for the Hunted." 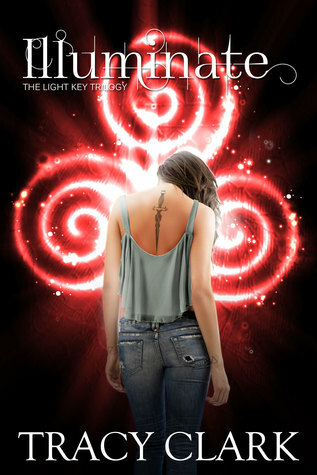 Illuminate, by author Tracy Clark, is the third, and final installment in The Light Key Trilogy. Illuminate picks up right where Deviate left off. The action picks up right from the first page of the first chapter, and drives straight towards the final chapter which will leave you stunned. The story takes the reader from Ireland, & Chile, & Italy. Cora Sandoval has been left with pain and loss. She's watched those she loved fall by the wayside in a never ending war between Scintilla and Arazzi. Now, is time to seek answers, and find a way to save her race before it's too late. I would have given this book 5 stars if not for the ending. I wanted more of a conclusive ending. I don't like books that like to leave things to the readers imagination. But overall, it was hard to out this one down. I received this book in advance through NetGalley for reviewing purposes; the following is my HONEST opinion of the book as I was in no way obligated to give a positive review. Thank you NetGalley and Entangled Teen for letting me read this book in advance! I really am sad to have finished this book, but boy did Tracy end it in such a beautiful way. While it would have been amazing to have an even longer epilogue or the opportunity to get to know what happened a bit more afterwards, the entire ending of the story was not what I expected, but added such a beautiful touch. The final scenes exemplify her skills as an author - they were all so beautifully written that I have no other words to describe them. Illuminate was an amazing ending to a wonderfully written series. Taking the entire series into consideration, the characters have changed brilliantly. Cora isn’t the 16 year old we met in the first book; she’s grown into a young woman who is capable of making mature decisions that even adults have trouble comprehending. Finn has accepted the darkness inside from what he has done to survive and learned to move on from it. Even the other characters we see around them have grown: Giovanni no longer just looks at Finn like a rival - instead they can look at each other like friends. We learn that some characters may not be who we think they are just on the surface. Our characters have changed so much that it was very difficult to remember that many were indeed teenagers - not the young adults I kept picturing. The plot in this book was also amazingly well developed. While it was hard for me to really grasp and hold onto the religious elements, Tracy did an amazing job explaining them to those of us who do not follow religion. She gives us everything we need to know about Christianity to be able to follow along. I love that she drew into such a large organization to give the past of the species; while it really was kind of difficult to view as realistic, she did an amazing job explaining what was happening. Beyond just the religious portions, I loved how we got to view the three different battlegrounds: Ireland, Chile, and Italy. Even though everyone eventually comes back together, it was amazing to have all these sideplots simultaneously occurring. If someone doesn’t like exactly what is going on in one area, there were two other areas to focus on. While Cora struggles to figure out the key, Finn tries to learn more about the Arrazi plans and Giovanni works to find a way to protect the Scintilla. Each plotline is different, but they come together excellently in the climax of the tale. I was so excited to get these very different plots, especially since I sometimes found it hard to follow certain portions. The romance in the book wasn’t too important or forward. There were some kissing scenes between Cora and one of the boys, but I really thought they just detracted from the novel as a whole. The ending, however, was specifically tied into romance, hence why I gave the story a B. Without the different love plots of the book, the ending would not have been as strong. Anything else that I want to say will give that away, but if you read and finish the book, talk to me about it! Illuminate is the final book in the Light Key trilogy, and it definitely goes out with a bang. There was more action in this than the second book, and we finally get answers we've been waiting for since the first book. I hadn't reread the previous book before reading this, so there were some things I couldn't remember, but Tracy Clark did a great job on catching us up on the bigger events that occurred previously. Cora goes off in search of the answers to what the key really is and what it opens. She'll do anything to save her loved ones and all the Scintilla remaining. Now that both her parents and her cousin are gone, she has very few people close to her left, and she's not about to let anyone else go. She has to deal with the future of her people as well as the two boys who have her heart - Finn and Giovanni. This book is split into three alternating POVs - Cora, Finn, and Giovanni. It made sense since all three of them are separate for most of the novel. In fact, they were in different countries for most of it. That was one thing I didn't really like; I wish they'd been together more. They work well together (okay maybe not all three together, but at least Cora with one of the boys). Cora heads off to Italy early on, Finn stays in Ireland and Giovanni goes to Chile to take care of Cora's grandmother, who's also Scintilla. There's quite a bit of focus on things that happened towards the end of Deviate, and I'm afraid I was still a little clueless there. But it set a lot in motion for the plot of this book. Finn has more Arrazi with him, which gives him new perspectives on things. I liked Finn way more in this - he's not depressed and kind of suicidal like he was in the previous book, thank god. He steps up and actually does stuff to help Cora. The plot still moved a bit too slowly for my liking, and the book is pretty long. There's a lot of background on Christian stories from the Bible, and I was again clueless about those. But I do appreciate the amount of research that goes into a series like this! I feel like I learnt quite a bit from the background info we get. Cora discovers the truth about what the light key is as well as about Scintilla and Arrazi. I won't say any more about that, but it's big, trust me. And I can't say much about the ending of the series without giving anything away, either. I can say that it's definitely not what I was expecting. And I commend Tracy on the writing decisions she made. It was a hell of a roller coaster, this series, and I'm glad I decided to read and review Scintillate when I got the chance. I have not read the previous books in this series and was afraid that I would be lost in this one, but I was able to pick it up and follow right along. This was an easy reading story full of history, suspense, humor, and romance. I also felt like I was reading another installment of the National Treasure movies. This series could be a movie in itself! Tracy Clark starts this book off by throwing you straight back into the story. I picked up quickly and figured out what all was going on. Cora is g I have not read the previous books in this series and was afraid that I would be lost in this one, but I was able to pick it up and follow right along. This was an easy reading story full of history, suspense, humor, and romance. I also felt like I was reading another installment of the National Treasure movies. This series could be a movie in itself! Tracy Clark starts this book off by throwing you straight back into the story. I picked up quickly and figured out what all was going on. Cora is grieving her mother and preparing for her burial. Once she takes care of her mother, Cora has to travel to Italy to fins the answers to somethings that she has been looking for. I love how Tracy used history to make the clues for Cora's answers come to her. She visits these local popular tourist attractions and gets her answers. While Cora is in Italy, Giovanni has to go to Chile and Finn stays in Ireland. I have to say that the rapping cab driver with Cora had me laughing out loud. The humor was nice to have in the story too!! I don't want to give you all the clues or even hint to what the answers were because you really need to read this one and get lost in it as I did. I loved this story and am sad that I got in on the last book, but I am going to go back and read the previous ones. Without knowing who her enemies or her alies are she travels a dangerous path in order to save herself, her loved ones and the entire global population. The first thing I have to say about this book is that it has left me utterly speechless! I have been sitting in front of my co Cora Sandoval is just one girl but she has the entire world on her shoulders and has to save everyone. After discovering clues that lead her to a very shocking and concerning truth in which lies the fate of the human race. The first thing I have to say about this book is that it has left me utterly speechless! I have been sitting in front of my computer for quite some time, trying to gather my toughts about this amazing story. Remember the awesome and striking characthers from the previous books? They're even better as you enter again in this crazy mythical world that has no barriers and leaves all your feelings lying on the floor as you cry your heart out (in a good way). This book has unexpected events and you never know how is it going to end! I loved reading this series and I hope that you will love this last book as half as much as I did! Don't be shy and just step in into this crazyness that is Cora's life and discover what happens to her, to Finn, to Giovanni, to Mama Tulke and to all of those characthers that you have been falling for since the first book! Go and pick it up! You must read the two first books. Scintillate and Deviate. Very well written story that can captivate you with love, hate , persecution. It will keep you glued till the end. I liked the first book in the series, but not this one. It is very anti organized religion especially the Catholic church and makes light Jesus' divinity. It's unfortunate because the first book had so much potential to be a great series. I do not recommend reading this book. I loved the exciting conclusion of this trilogy! It was satisfying in every way. Fast paced, interesting and thoughtful. Thank you Tracy Clark. This did get more suspenseful towards the end. This book starts off with a bang. Finn and Cora both kill Arazzi and regular humans working with the Arazzi. But the trouble they are facing is way bigger than an ambush leaving them murderers. Cora must go to Italy, Giovanni must go to Chile to be with his surprise daughter Claire (the offspring of an experiment done at the facility), and Finn must stay in Ireland. I did not like how these guys were split up for the majority of the book. I get why it needed to happen, though. Real life does not This book starts off with a bang. Finn and Cora both kill Arazzi and regular humans working with the Arazzi. But the trouble they are facing is way bigger than an ambush leaving them murderers. Cora must go to Italy, Giovanni must go to Chile to be with his surprise daughter Claire (the offspring of an experiment done at the facility), and Finn must stay in Ireland. I did not like how these guys were split up for the majority of the book. I get why it needed to happen, though. Real life does not mean they all get to hang out and do research together. Finn had responsibilities in Ireland. Giovanni had to be with his daughter for obvious reasons. And Cora needed to finish this lead. I just wish it hadn't been that way for selfish reader reasons. Giovanni starts to prepare the Scintilla in Chile who were hiding out on Mami Tulke's ranch, which was like major news and made me really happy, for war with the Arazzi. Now this approach seemed pretty rushed and kind of sat awkward with me. I mean, I probably would have been the same way in a situation like that, but it was just a little odd feeling for Giovanni to hop right on in to battle strategy. Finn's off in Ireland getting cozy for strategic purposes with Ultanna's daughter, who inherits the throne her mother left behind. Lorcan gets super pissed about that and Soarise is kind of sketchy this entire time. (I would like to say that I pegged her as the bad guy the moment she walked onto the page!) Finn isn't completely helpless towards Cora's cause. He's researching and doing as much as he can to help her using his Arazzi status. Cora, on the other hand, makes a shocking discovery in Italy that I think we need to discuss. Cora discovers what that key that's been around her neck forever unlocks. And it's a picture of Mary and Jesus. Surrounded in a silver aura. As Scintilla. First off, this is very dangerous for a writer to do. You don't know how your audience is going to react to taking something religious and powerful like that and messing with it in your writing. But I applaud Tracy Clark for doing it at the same time. Now I know that many of you probably weren't too happy about this approach because it could be considered slightly blasphemous, but before you bring out the torches, hear what I have to say about it and why I think it was a smart thing for her to do. Tracy Clark's world is entirely her own. If it were real, the odds are that someone like Jesus would have been Scintilla and there's literally nothing wrong with that. I mean, why wouldn't he be? He brought people back to life, so did Cora. It makes total sense and it would almost be inaccurate for that not to be the case. Of course, it was kind of strange and it did take me a while to get used to it, being a Catholic myself, but I see where she was coming from and I respect that. It did work for the story as well, I must say. And when the story goes on and talks about the corruptness of the Church, I feel conflicted on that part. There is truth in it. Many churches are corrupted although I think our pope now is doing wonders for the Catholic community. But hey it is what it is and it worked for the story. The story goes on and everything is sort of weird for a while. Cora enlists the help of some documentary person in return that she expose Scintilla. It reminded me of some book I read, but I couldn't place it. It was a nice road she took it down, however, because it offered more to the story than just going to Chile and saving the world would have. She had someone documenting it the entire time. But then the Arazzi show up and Cora touches some age old book and suddenly everything is put in perspective. Arazzi and Scintilla are not natural born enemies. They were born to be together. So does this mean Cora chooses Finn? Because I was still stuck in that love triangle. And I guess I still am because what they decide to do doesn't exactly explain anything to me. Other than that they restored balance to the world (I'm talking Arazzi and Scintilla as a whole and not just Cora and Finn). The Arazzi and Scintilla join themselves to each other by the Scintilla giving themselves to the Arazzi and then they all kind of erupt into light and disappear. It's a beautiful idea. But I'm going to be honest with you, I was left with no closure! What happened to Claire? Was she really Arazzi because I didn't think so. And what about all those people falling down randomly and not because of Arazzi attacks? And who did Cora choose? Because it didn't feel like she chose Finn for romantic reasons. Please Tracy Clark, answer these questions and I will be able to die in peace! Cora was one of the few Scintilla left and it was legend that the Scintilla was the key to heaven. Cora loved Finn and Giovannni. Cora’s parents had been murdered after Cora and her mom had escaped Dr. M’s facility and then was kidnapped by Clancy . Clancy had tried to kill Cora, her mom and even her grandmother but Ultana - the head of Xepa claimed them. But Ultana was now dead and Clancy laid unconsciousness next to Ultana. Cora regretted she hadn’t killed Clancy when she had the chance. But U Cora was one of the few Scintilla left and it was legend that the Scintilla was the key to heaven. Cora loved Finn and Giovannni. Cora’s parents had been murdered after Cora and her mom had escaped Dr. M’s facility and then was kidnapped by Clancy . Clancy had tried to kill Cora, her mom and even her grandmother but Ultana - the head of Xepa claimed them. But Ultana was now dead and Clancy laid unconsciousness next to Ultana. Cora regretted she hadn’t killed Clancy when she had the chance. But Ultana had killed Cora’s mom . Her grandmother had stolen a key from a statue of St. Peter at the Vatican. Cora had loved Finn but he had killed her cousin Mari even though he called it a mercy killing. Finn was also an Arrazi who for the most part are trying to kill all the Scintilla. Cora was on her knees over her mom’s dead body and wanted to know her purpose in life. Also her mom’s murder inspired a dark drive within Cora. So Cora goes to Italy to try to figure out the key. Giovanni goes to Chile working on a way to protect the Scintilla and Finn stayed in Ireland to try to learn more about the Arrazi plans. So the story was okay I didn’t hate it but didn’t love it either. I didn’t like the ending at all. I also don’t like a bunch of subplots and going between them. I did like the characters for the most part especially Cora and all the twists and turns she went through.Also Finn and Giovanni. I don't even know where to start....I loved the first two books in this series and was so excited for the last one to come out. Now that's it's here I wish someone would say just kidding this debacle isn't really the book the real one is coming out next month. But I'm afraid that won't be happening. One of the many things I loved about the first two books was the characters interaction with each other. If I'm being completely honest the only character that can hold it's own and still be interesti I don't even know where to start....I loved the first two books in this series and was so excited for the last one to come out. Now that's it's here I wish someone would say just kidding this debacle isn't really the book the real one is coming out next month. But I'm afraid that won't be happening. This review has been hidden because it contains spoilers. To view it, click here. The majority of the book itself wasn't terrible, it was much faster paced then the previous two. It also was styled much like the Da Vinci code (in a less thought out way), with Cora running around looking at symbols and doing "important" things. Her two love interests (blech) were prominently displayed in all their "oh how I adore and love and will DIEEEEEE FOR You" glory. Seriously...this annoyed me to no end. The kid thing? That was creepy, weird and I just can't really understand how that in The majority of the book itself wasn't terrible, it was much faster paced then the previous two. It also was styled much like the Da Vinci code (in a less thought out way), with Cora running around looking at symbols and doing "important" things. Her two love interests (blech) were prominently displayed in all their "oh how I adore and love and will DIEEEEEE FOR You" glory. Seriously...this annoyed me to no end. The kid thing? That was creepy, weird and I just can't really understand how that increased the plot. Maybe if she had done something with it? But she just left that big, gaping, plot hole just sitting there with the crappiest ending I've read in quite a while. How can you end a book in such disregard to the characters? It was like Tracy Clark looked up from writing her book and was like "crap I've hit my word count! I'm done!" Characters that she developed, nothing else discussed. Why!? While this book was well-written, it is told from three viewpoints in rotation. For me, it slowed the reading down. The tension in it was good and some of the concepts are very familiar to some of my thinking so I was along for the ride. The ending wasn't as satisfying for me as I'd hoped it would be. But overall, it's a very good book and wraps up the trilogy well. It was kind of slow to start off, but by the end I was hooked back in. Some of the twists were kind of predictable, and some loose ends were left. Still a good read, and good fantasy escapism after a stressful day. It finished a bit quickly and the epilogue was waaaay to short; it left a lot of loose ends. Great characters and not as dark as I expected. Tracy Clark is an award winning writer of novels for young adults and runs the Moxie Fruit blog for midlife women. Basically, she has one foot in the teen side of her brain and one in her midlife side. She recently relocated from the cold part of the Sierras to the sunny and looks forward to being warm for once. Her college-aged kids are a continuous source of great dialogue and keep her young. Th Tracy Clark is an award winning writer of novels for young adults and runs the Moxie Fruit blog for midlife women. Basically, she has one foot in the teen side of her brain and one in her midlife side. The recipient of the Society of Children’s Book Writers and Illustrators (SCBWI) Work in Progress Grant and a two-time participant in the prestigious Nevada SCBWI Mentor Program.